Are you interested in data integration? 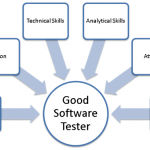 Does data excite you and do you wish to make your career in the domain of data quality? If you are one of those interested in making it big in data integration and data quality services, then Informatica Online training from Big Classes.com is sure to help you achieve excellence. The Informatica is an ETL (Extract, Transform, Load) tool that helps individuals in gaining theoretical and practical knowledge to effectively deliver data in the required formats in enterprises and organizations. The real time Informatica online training from Big Classes.com is specifically designed to meet the career needs of individuals to drive them on the path of success. In addition to imparting knowledge, practical training with server access through the course period is provided to individuals to help gain hands-on knowledge. Highly-skilled experts power the Informatica online training course while they provide training in data integration and many kinds of Informatica solutions. With the data being critical to any organisation, skilled professionals who manage the data become increasingly pivotal. 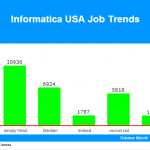 So, if you are one of those who is waiting to enhance your competencies in data integration and management, then Informatica Training at Big Classes.com is what you have to opt for.